I realize that it is the middle of winter, but it is my mother's birthday this week and purple pansies are her favorite flower. 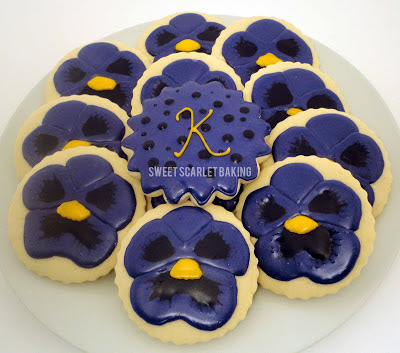 So, for her birthday, I made some purple pansy sugar cookies and a special monogram cookie just for her. These pansies were inspired by Nicole at Life's a Batch. 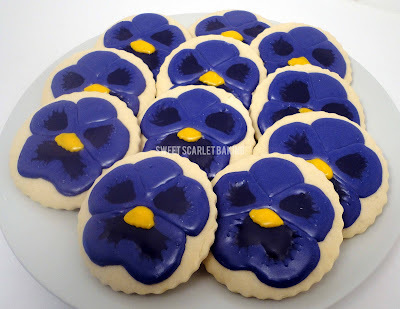 She has a step-by-step tutorial for making these pretty pansies.